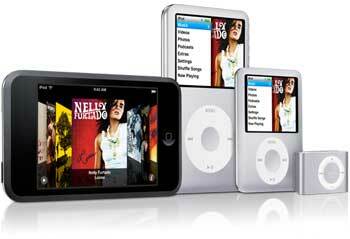 Wanna enjoy your WebM videos at anywhere and anytime with portable players? 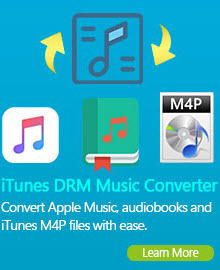 Any Video Converter can perfectly convert your favorite WebM files for many types of portable players, including the iPad, iPhone, iPod, Sansa, Sony Walkman, Creative Zen, Apple TV, Nokia, PSP, Zune, PS3, Pocket PC, Windows Mobiles, etc. Want to rip DVD to WebM format, you need to get Any DVD Converter to convert DVD to WebM! Any Video converter is not only a powerful WebM converter but also an incredible WebM video player and editor. It can do the trimming of any clip of WebM video, crop WebM video to remove black bars on the movie, flip and rotate WebM video into any side view as you like, or set movie video brightness/contrast/saturation, or choose to apply special video effects to your video files. Moreover, Any Video converter allows to set video output settings including resolution, frame rate, codec, bit rate, sample rate, channel, etc. With this versatile WebM Converter, you can not only convert WebM videos to various portable video and audio players, but also able to convert almost all popular video formats include MOV to WebM, WMV to WebM, MP4 to WebM, etc. Apart from its powerful video conversion feature, you can customize various setting such as video size, sample rate, frame rate, etc. to get best WebM video quality. How to Convert WebM to MP4, AVI, MPG, WMV, FLV? Step 1: Simply click Add button to import WebM video files from your hard drive to the program. Batch video conversion and merging videos are supported. Step 2: Choose desired output format from the Profile list. You can customize video and audio settings (e.g. Video Codec, Video Bitrate, Audio Codec, Audio Bitrate, Audio Channel) in Any Video Converter to enhance the experience of enjoying output videos. Step 3: Click Convert button to start converting WebM videos to desired format. Once the conversion is finished, you can click "Output Folder" button to get the output files and have fun! WebM Video Converter enables you to convert all popular video formats to other video and audio formats supported by WebM. WebM supports 3GP, MP4, and AVI video file formats. 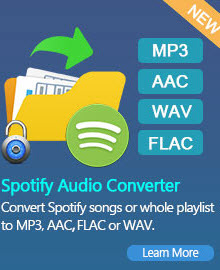 So, you can use Any Video Converter, the best WebM video converter to convert MKV to MP4, WMV to AVI, H.264 to 3GP, etc. WebM Video Converter can converts many video files in batches. Converts to 3GP, MP3, MP4, AVI, MPG, WMV, MPEG, FLV, HD, DVD, M2TS and other formats with integrated video player & DivX+ codecs! Universal and fast, WebM (Any) Video Converter will make your videos suitable for the web in two clicks. 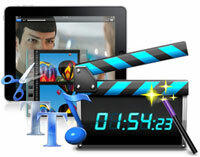 Trim the length of any videos to get the video or audio clips you want. Crop Video to adjust the suitable size of displaying screen. Change the video brightness, contrast, saturation or add some effects like "Mirror Image " or "Flip Vertical"etc. Make advanced encoding settings: Video Codec, Frame Size, Frame Rate, Bitrate and Audio Codec, Sample Rate, Channels, Bitrate. Want to watch YouTube videos in WebM format? WebM Converter allows you to download YouTube videos and convert them to .webm format at lightning speed. This program also supports YouTube HD video files. There are many easy and simple ways to download YouTube Videos. Drag and drop YouTube video URLs on the window of the converter to start downloading. This "download + convert" software allows you the easiest and fastest way to watch, download and transfer videos to your multimedia device! WebM Converter is Compatible with Windows 7! WebM Converter software provides an easy way to combine and join multiple videos together. Just select the videos you want to join and check the “merge output” you can finish it easily. You can merge several WebM video clips into a single video, so that you can enjoy a long video.